Learning how to use Instagram carousel posts to your advantage is one skill that we want you to absolutely nail! There are so many ways that you can be creative on Instagram, but Instagram Carousels are by far one of the easiest ways to add a bit of pizazz to your grid. And even better than pizazz – there’s the opportunity to make moolahlah from your Instagram Carousel posts if you share the right things. Want to learn how to use Instagram Carousel posts to make money? Keep on reading to get the inside scoop on four different creative concepts. 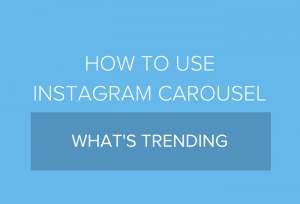 Not quite sure what an Instagram Carousel post is? Basically, they’re a way that you can share multiple photos or videos in one post to your Instagram grid. It’s the perfect way to tell a compelling story on your grid. All without spamming your followers with posts every two seconds. 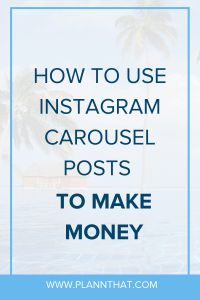 Keep on reading for some examples on how to use Instagram Carousel posts to make money. One of the best ways to prove yourself to your Instagram audience and get them hankering for your product or service is to show them your magic in an Instagram Carousel post. 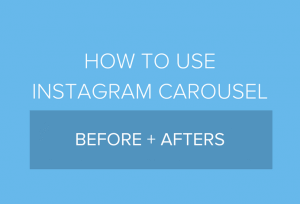 For jaw-dropping results put the ‘after’ photo at the beginning of your carousel. Why? Well, because to the human eye it will be so much more shocking to see a transformation. Also, you’ll be able to showcase the incredible work you’ve created to what the situation was before your client found you. To get the best before and after photos possible be sure to take photos with as much natural lighting as possible. Remember to keep taking photos in a location with a consistent backdrop. If you are a travelling hairdresser, beautician or offer something along those lines where you are visiting clients in their own homes, it is definitely worth investing in a photo backdrop to take along as well as a ring light for your phone. 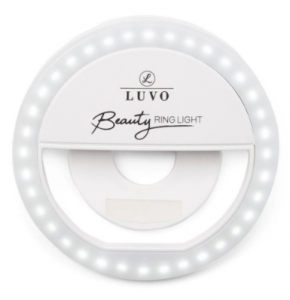 Here is a ring light so that you can get an idea. Once you’ve got the before and after photos (and videos if you want to give them a go!) you can schedule them to post to your Instagram grid or to Stories using the Plann app. Got a catalogue of products that you sell? Make the most of it with Instagram Carousel posts! You can use Instagram Carousel posts to show off products from a category within your latest catalogue. Or, you could get creative and theme the carousel post. For example, it could be your founder’s picks, best sellers or new season products. 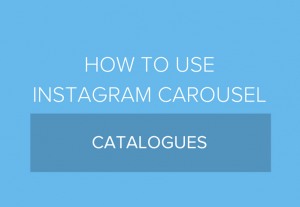 To create an Instagram Carousel post gather together photos of selected catalogue items and upload them one by one into your carousel post. If you need a step-by-step guide on how to set up carousel posts, here is one we’ve already prepared for you, yew! If you own a Fashion or Lifestyle brand, it is pretty likely that there will be sudden spikes in trending designs that you could feature in Instagram carousel posts. This is a great way to give your Instagram audience inspiration for seasonal changes. These changes may be for their wardrobes or home decor. It also means that you can let them know what trending items you have in store, ready to be purchased! Start making sales by using Instagram Carousel posts strategically – we know you can do it you legend!! PSSST -> A quick way to see what is trending on Instagram in your industry is to check out what content is going viral! Click here to read our blog on creating viral Instagram content. Got a few customer stories that make you feel all fuzzy inside? Share those stories (with permission) using an Instagram Carousel post! For best results use a combination of photos (to show the transformation of the client). Add a text-based review to really get across the impact that your products or services have had on them. Successful customer or client stories are fantastic for building brand trust and increasing bookings and sales. Jump on it! PSSST -> Want some more tips on building a successful brand from scratch using Instagram? Check out our handy guide right here. Well lovely lovelies, we’ve come to the end of this blog! So you can grow your Insta account and make money, we hope that we’ve left you inspired and excited to start using Instagram Carousel posts. At the end of the day, your Instagram Marketing should be getting you real results. And we’re here to help you make that happen. If you need a boost in the right direction, make sure to download the Plann app for free and start playing around with all of our nifty features.